Nowhere meets The Power of Five. Have you seen it on TV yet? Demon horror for a rebel generation. Our fave Aussie import bar none. It’s the school trip from hell. And we mean that. Forget lost packed lunches and bunking with bullies. 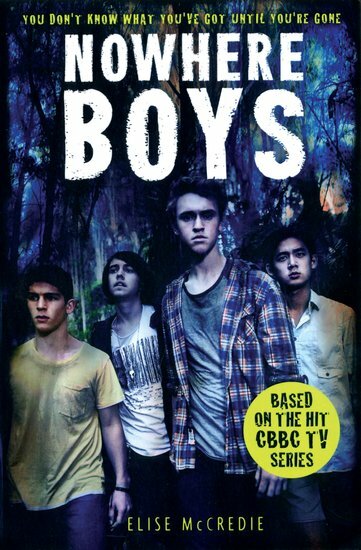 On their hiking trip, Sam, Jake, Andy and Felix are caught in a deadly freak storm. They survive the night and get home. Time for a hero’s welcome? Errr… instead, nobody knows who they are. Not their family. Not their friends. Nothing but blank faces. Their lives have been erased. Yet they’ve attracted a dreadful dark force… Ever felt invisible, yet known that the class bully can still home in on you? On a totally evil cosmic level, that’s what this is like.